MONDAY, NOVEMBER 13 // 6 P.M.
For the past three decades, dar williams has cris-crossed this country as a touring musician. Those travels inspired her songs and now her memoir, "What I Learned in A Thousand Towns." in her book, Williams muses on why some towns flourish while others fail, examining elements from the significance of history and nature to the uniting power of public spaces and food. Drawing on her own travels and the work of urban theorists, Williams offers real solutions to rebuild declining communities. 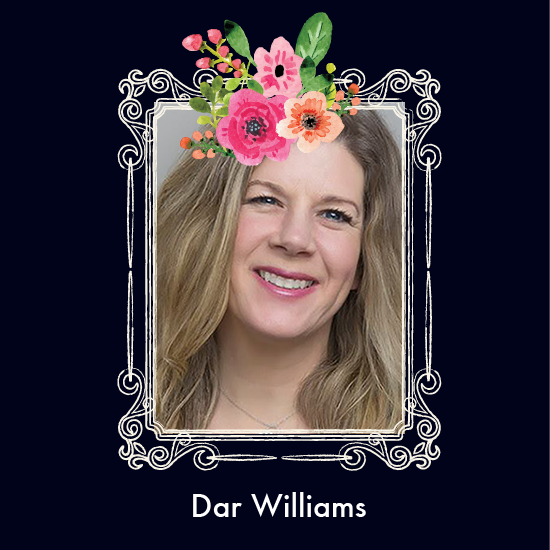 Shady ladies are thrilled to host dar williams for a night to remember in detroit. Assemble Sound is headquartered in an historic Church in front of the iconic Michigan Central Station in Roosevelt Park in Detroit. it is now known as the church of music, where Assemble sound has on-site recording studios, event space and more. assemble sound also works with clients such as netflix and mtv to bring the detroit sound to films and tV. Assemble is hosting dar in the church's sanctuary, which promises to be one of the most intimate experiences fans can have with an artists. after, dinner guests will head upstairs for a menu prepared by Chef Alison Heeres of coriander kitchen. coriander kitchen and farm is made up of the chef-farmer team of alison heeres and gwen meyer. alison says she is "addicted to dill, coriander, lemon zest, and crunchy things." her training comes, she explains, from her mother's kitchen and her father's garden. gwen manages coriander's 1/2-acre farm and has been growing in detroit since 2008. she says she loves love bees and butterflies and hawks and pheasants and is "grateful for the collaborative power of the growing community, for the ideals of justice and food sovereignty present in Detroit and to be a part of this work."